The Gilmore Girls revival is bringing back a lot of the show’s original cast members. Friends of the Gilmore familywork, Stars Hollow townspeople, former love interests and many more are set to appear in Netflix’s revival series, but today we learned that one big character from the original series will not be returning. 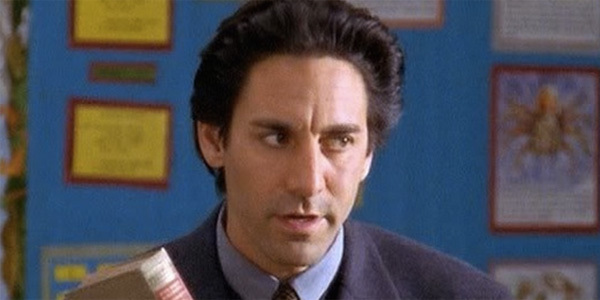 That character is Max Medina, who was played by Scott Cohen and was a pretty important character during the first three seasons of the long-running drama. Recently, showrunner Amy Sherman-Palladino explained why it didn’t work out. One person I didn’t figure out how to get in was Scott Cohen, whom we love so much. Not that we’re not still thinking about him, but we couldn’t figure out how to get Max in there. We had so much story. We left storylines on the cutting room floor before we started. Speaking to EW, Amy Sherman-Palladino is clear that the show wanted to get Scott Cohen in. It totally makes sense that he would be a tough sell. After all, Max and Lorelei had a thing going for a while and the Chilton teacher eventually proposed, only to see the relationship fall apart a short time later. The character never popped up in the series after Season 3 and didn’t live in Stars Hollow. Unless he was magically still at Chilton (where Rory seems to be working in some new episode stills), it’s hard to see how any inclusion of the character wouldn’t have been weird. Plus, who knows if the scheduling would have worked out? Palladino also explained that a lot of people who have been involved in projects with her over the years wanted to show up on Gilmore Girls. The show found ways to find gigs for the already-announced Sutton Foster, who starred in Bunheads, and for Mae Whitman, who played Lauren Graham’s other onscreen daughter on NBC’s Parenthood. By the time [the Netflix deal] was announced we had written all four of these movies so we couldn’t adjust them. In light of Gilmore Girls: Seasons figuring out how to work Melissa McCarthy’s character in, I’m not sure what Amy Sherman Palladino is saying is strictly true. However, once the scripts were written, it’s easy to see how it would be much harder to work a bunch of random side characters in—especially those who never lived in Stars Hollow and thus would not be attending any of the random events or town meetings that are likely definitely going to be a part of the series. Scott Cohen isn't the only person who will be missing from the Gilmore Girls lineup on Netflix. Because Edward Herrmann passed away at the end of 2014, the series is going to write the death of his character in, as well. Plus, there are sure to be a few more characters who don't make it into the show. Besides, as much as we like Max during the show's original run, I'm not sure how his character would fit into Lorelei's current world. Although it does stink for the actor, as Lorelei's other former beau Jason Stiles looks to be in. We'll let you know as soon as Gilmore Girls Season 8 gets a premiere date. In the meantime, here's what we know about the revival series.